Hi, everyone! This is Steven from Seika. On Saturday, March 9th, Alice from the Kyoto Prefectural International Center and I attended the 2013 International Exchange Program event in Seika. The event started off with all participants gathering at the Seika Town Office in the morning. The group included participants from a wide range of countries including China, Germany, Korea, Sweden, Turkey, and Ukraine. All in all, there were 23 participants. 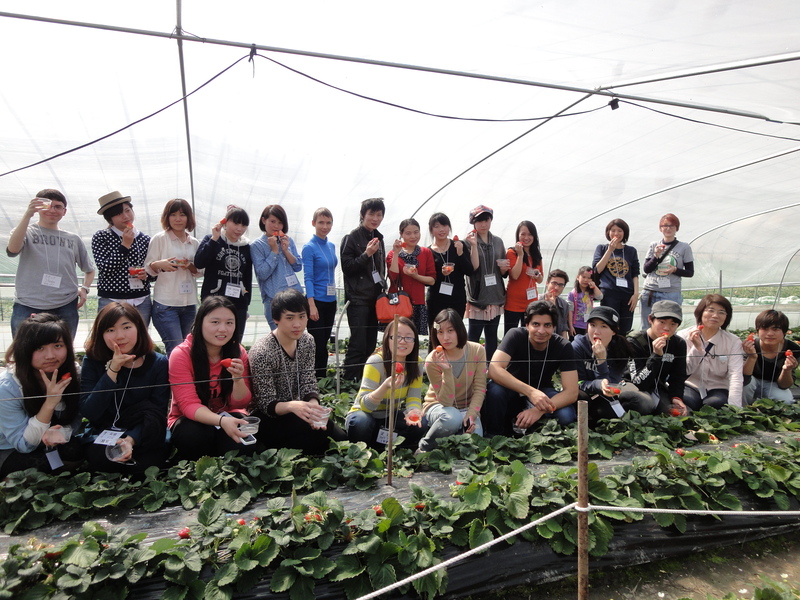 After gathering at the town office, everyone got on a bus and headed to Kawanishi Strawberry Gardens to enjoy strawberry picking, often said to be the most famous attraction in Seika. Navigating the greenhouse where the strawberries were was a little difficult to the narrow pathways, but the strawberries were absolutely delicious. 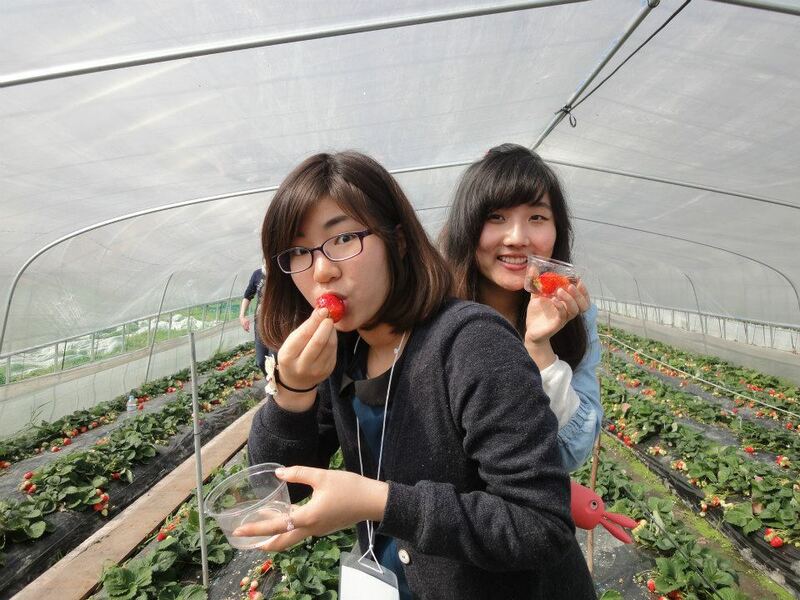 Everyone got to eat as many strawberries as they could pick in 30 minutes. The participants certainly made the most of the time! Afterwards, everyone headed to the Mukunoki Center, where they were joined by the Japanese participants in the program. There, several of the participants volunteered to cook dishes from their respective countries. 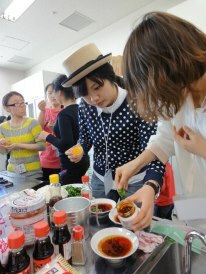 With the help of other participants, the cooking went smoothly, and before long everyone was enjoying a variety of dishes such as mochi from Japan, scallion pancakes from Korea, egg-tomato stir fry from China, xiaolongbao from Mongolia, and strawberry pancakes from Seika. By the end, everyone was quite full. It was then time for the participants to meet their host families and leave with them to spend the rest of the afternoon and the next day together. Hopefully they enjoyed Seika and the beautiful spring weather we had during this weekend! 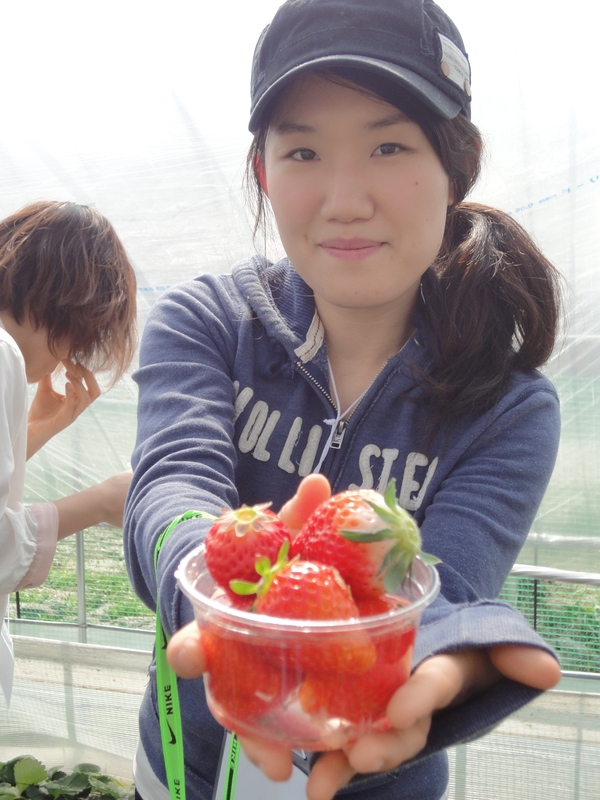 Many participants said that getting to try Seika’s sweet strawberries and cooking and eating together with the locals were very good experiences. They were also happy that they got to meet Japanese families and other international students as well. Notaries with experience in foreign affairs will offer information on past cases regarding visa and immigration issues. This information is intended to be of use to foreign resident support volunteers and those interested in such fields. Notaries will answer questions about life in Japan in individual consultation sessions, with a special focus on visa and immigration issues. Interpretation may also be arranged. Notaries may not be able to answer all questions.